But what most say makes Springs really stand out are the people who help manage the properties, the measures we put in place to ensure a great experience for everyone, and the “above and beyond” features of the apartments and the communities as a whole. The people we select to join our team must fulfill a few critical requirements first, including a resident-focused attitude, a mindset that “I’m here to serve you” and a positive, upbeat attitude. Residents tell us that Springs’ team members’ approach makes them feel at home and taken care of, and that it makes living at a Springs community feel like being part of a friendly neighborhood. Our community codes of conduct. The rules we put in place at each of our communities are designed to enhance the experience of living at Springs and to ensure everyone’s comfort. Take our PooPrints program, for example. We take a swab from residents’ dog’s mouths and send them off for DNA analysis. If a dog mess is found, we can then identify the pet and provide a friendly reminder to its owner of the need to keep things tidy. This measure might sound a little “over the top,” but it ensures that pet owners respect the property and the other residents. No one wants physical evidence that a pet was walking the property! 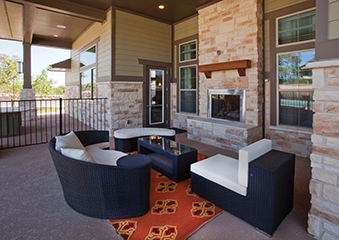 The features and services of a Springs community are intentionally chosen to make residents’ lives a little less stressful, to provide a home-like experience inside the apartment and a resort-like atmosphere outside. Some of the features we’re most proud of are our beautiful swimming pools and gathering spots (complete with outdoor cooking areas that feature refrigerators, sinks and gas grills), our car care areas (where you can wash and vacuum out your car), and the ground-level private entries to the apartments (which give our apartments a townhome feel). A few others are garden tubs, attached garages, 9-foot ceilings and private patios or balconies. It takes a hardworking team and great residents to make an apartment community what it is, and we have both! If you’d like to come see the Springs difference, visit any Springs leasing office or reach out via phone, email or any social media!